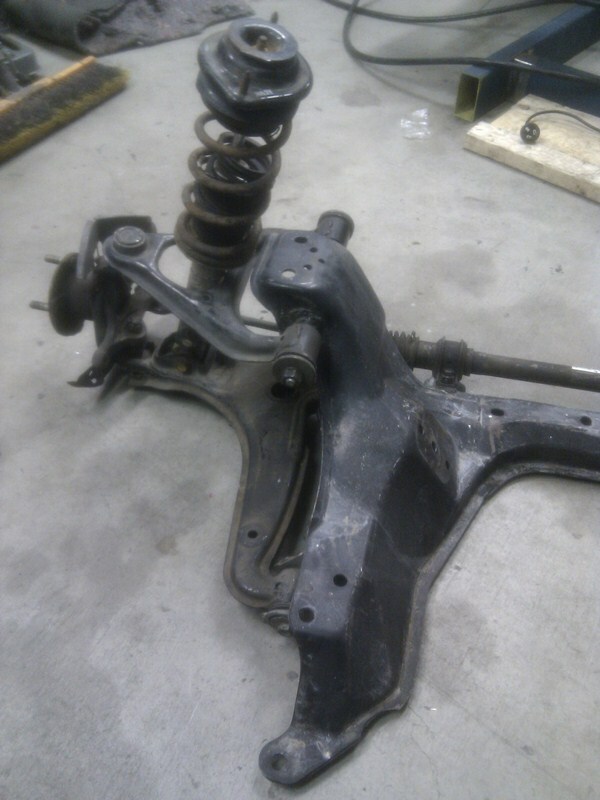 Working on the car with a section of the MX5 cradle showed a few issues, the main one being that the lower arms needed to be swapped from side to side as previously mentioned. 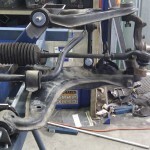 The other big issue was the main bulk of the cradle was too far back in the engine bay and would inmpact on engine location. 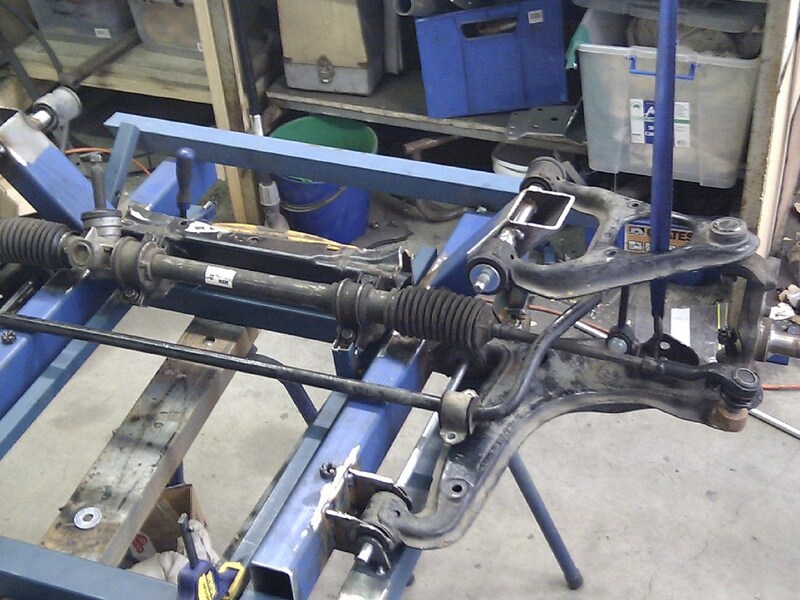 Along with having to move the steering rack up to clear the reveresed lower arms there wasn’t going to be much left of the cradle so it was decided to not use any of it in the car. 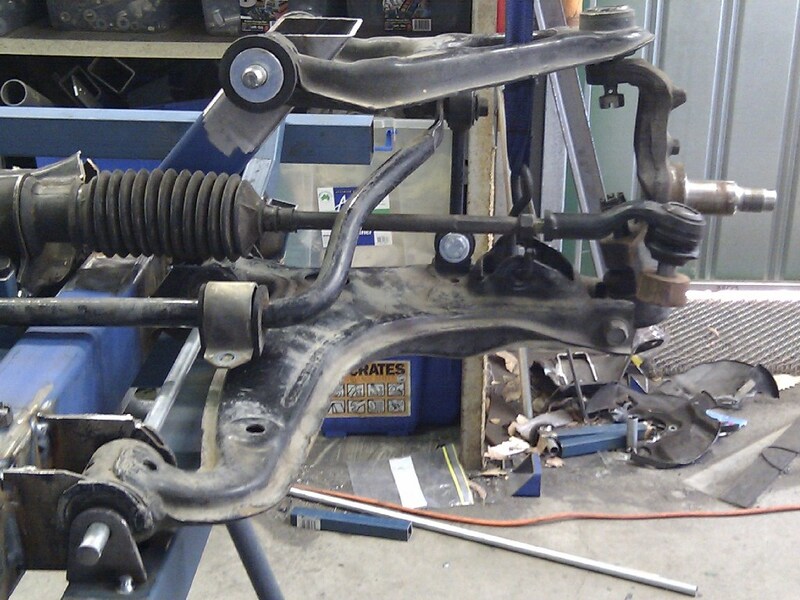 It was mounted to a jig so that the suspension pickup points could be transferred and used for creating some new chassis rails with the brackets needed for the relocated arms. 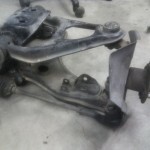 With all of the parts in place the geometry was checked and it showed that there were massive amounts of bump steer (when the suspension compresses over a bump the wheel also turns in or out causing it to unsettle the car). 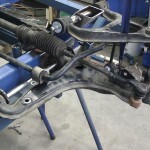 On the factory setup, the outer tie rod end is inserted froim below the steering arm section of the hub and is angled so that the pivot of the tie rod is closer in to the wheel to give the correct ackerman angle. 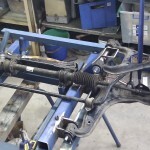 To reduce the bump steer, the steering arm has been rotated to point in a more appropriate angle for the tie rod to be inserted from the top. 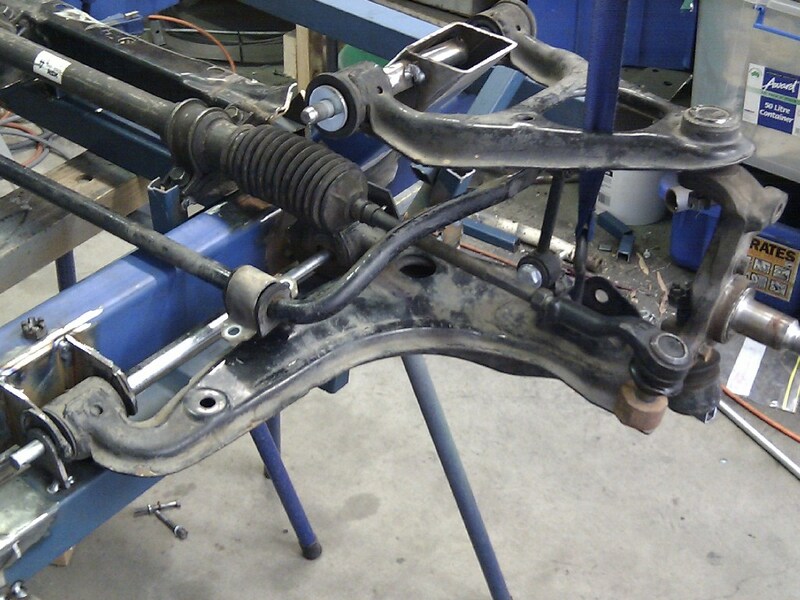 The tie rod will also be replaced with a rose joint and bolt setup to allow the outer pivot point of the steering to be adjusted for height which can be used to fine tune any bumpsteer. 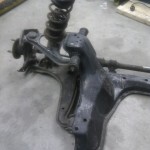 Parts that still need to be worked out are the sway bar mounts and steering rack mounts to rotate it downwards so that it points to wards the steering rack better. 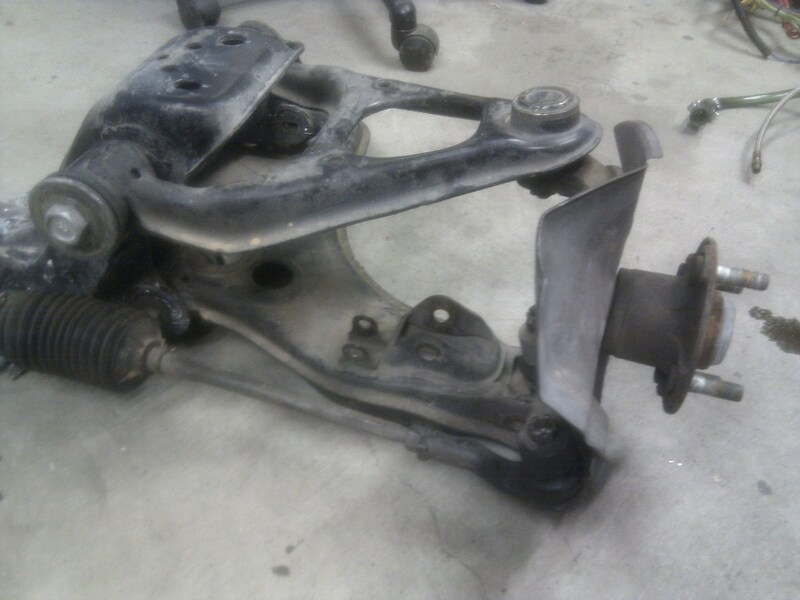 Once that is complete and the sections welded up and braced, it can be transferred to the car. 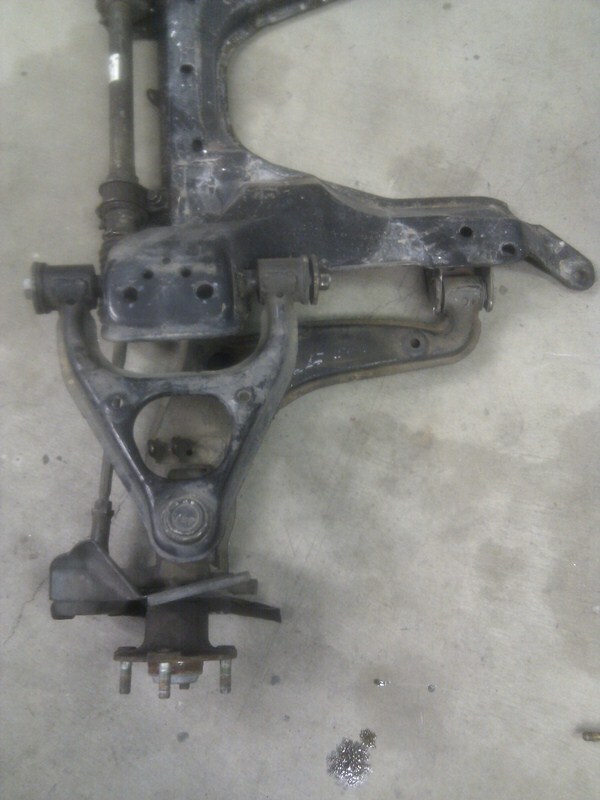 The pictures below show the standard MX5 setup as well as the mockup new setup. 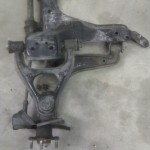 All pictures are of the passenger side of the car.